Here you must do everything to get a lot of money! It is so easy! Just try to do everything right and click the mouse to play and you will see what will happen. Be sure that you will love this game, cause money loves everyone. Vanquish the game right now. Wow! There are so much coins! And of course, we all love playing those coin machines. And it does not matter if they are penny machines, 5 cent or 2 pence machines. Well you no longer do you need to visit the arcade to enjoy it. 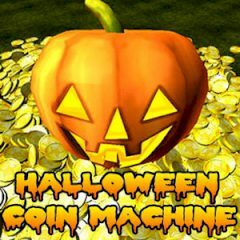 And this completely free 3D coin push game has a spooky Halloween theme. Thee are just for the scary seasons. You will have to join in with the carnival spirit, win and collect those prizes. And you will be not disappointed. So, there are so much money, just start the game and you will succeed it. Enjoy the game right now.